Normally, Tucson monsoon season summers are normally our favorite time of year. The summer monsoon storms roll in from Mexico and cool down the desert with spectacular storms packed with thunder and lightning. The plants explode and the Catalina Mountains turn a rich green. Though not this past summer. The monsoon storms seemed to dissapate rather than continue to build during the late afternoons, or early evenings, as they usually do. Felt like we were in Phoenix. So, it was a long hot summer in Tucson. But finally, the weather has cooled and the weather is spectacular outside. Tempatures are in the 80’s in the day and 50’s at night. A week from today, the highs are expected to be in the 70’s and the lows down to 50. Get the mesquite firewood ready! They say (whoever they is) that the winter is supposed to be cooler and wetter than normal. We will let you know if that happens. CLICK HERE to see some of our TUCSON WEATHER PHOTOS. Is Frommer’s really a reliable source for Arizona travel information? Arthur Frommer recently blogged about his gun control views, and revealed how little he knows about the Constitution and Arizona. We are not condoning intimidation of any kind, whether it be by legal firearms carriers in Arizona or ACORN members. But, Mr. Frommers comments like, “I will begin thinking about whether tourists should safeguard themselves by avoiding stays in Arizona” are ludicrous and fear mongering. We love, live, and document the great places to visit in Arizona almost everyday. Listen to the friendly welcoming people that do live here, unlike Frommer’s, a travel guide by a guy that doesn’t. Arizona is a great place to visit, and for Mr. Frommer to suggest, “should we all organize a travel boycott of Arizona“, punishing everyone in Arizona is unfair. Folk’s, you don’t need Frommer’s anyway. DiscoverArizona.org for yourself. Head up to beautiful Sedona, Arizona and enjoy Fiesta del Tlaquepaque on September 12th from 10AM to 5PM. It is held at Tlaquepaque Arts & Crafts Village and admission is free. Watch Mexican folk dancers and Ballet Amistad Folklorico. Listen to the music of Mosaico Flamenco, Spanish guitarist Miguel de Maria, Flamenco Fusion guitarist Greg Reiter, and the Mariachis that play throughout the Village. There will be lots of great art, entertainment, and food. For more information on Sedona – VisitSedona.org. 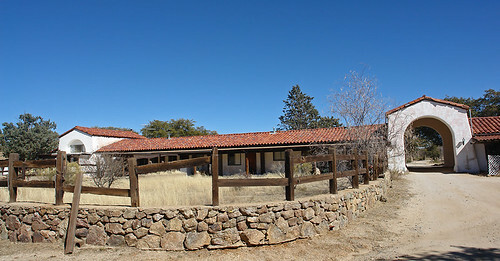 To find a vacation rental or B&B see SedonaRental.US, and favorite restaurants can be found at SedonaMenus.com. Sedona’s $100 million highway project, which has been in progress for nearly five years is very impressive. We took 89A from Flagstaff, through Oak Creek Canyon, and into Sedona on Tuesday morning. We were very impressed with the beautiful roads with scenic pull-offs, and that had either bike paths along side or big wide red sidewalks. It is functional and aesthetically pleasing. It certainly makes us want to return soon to take photographs, walk and ride our bikes. For more information on Sedona – VisitSedona.org. Downtown Flagstaff was packed with Arizona Cardinal Football fans this past weekend, watching summer camp scrimmage. Also, vacationers escaping the desert heat and Northern Arizona University students returning to school kept the restaurants and stores busy. The weather is spectacular up there right now, and people are biking, hiking, walking, golfing, and just relaxing. For information on Flagstaff attractions, vacation rentals, or restaurants, visit DiscoverFlagstaff.com. CLICK HERE to see our recent SLIDESHOW of Flagstaff, Arizona. If you live in, or happen to be visiting Chicago, keep in mind that another great little cool getaway is Michigan City, Indiana. It is an easy train ride or drive from Chicago. You can relax along the breezy lakeshore. Many Arizonans originally from Chicago, go to escape the desert heat and see “da Cubs” play. Michigan City is located in LaPorte County, Indiana and is part of an area known as Michiana. For years it has been a Midwest family favorite getaway along the southeast shore of Lake Michigan. Michigan City has some of the finest inns, cottages, and vacation rentals, and also great restaurants, shopping, golfing, fishing charters, attractions and more. For information that Michigan City locals recommend, and not just for vacations, VisitMichiganCity.com. You will find vacation rentals on MichiganCityRental.com. 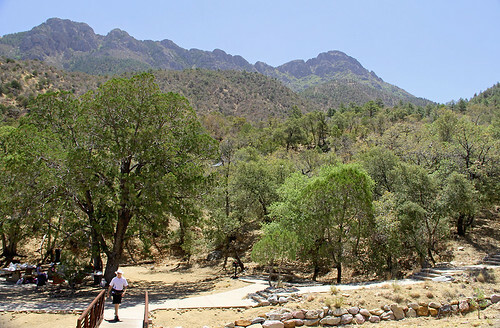 When we were in Bisbee, Arizona last, we took in the Queen Mine Tour, which was great and recommended. We are going back again soon, as there is so much to do and see. The reason we only did the mine tour last time we were there is that we wanted to do “local stuff“. We thought that the best way to do that is to not plan too much, and just walk around a lot. We did, and we stumbled on a sign for a thrift sale at the Old Bisbee School (money donated to its renovation), next to the Gym Club Suites (great place to stay). And, not only was it fun walking around the creeky old school house stairs, but we met some friendly folks in there. And to top it off, we found a Bisbee treasure! We discovered an old table for $15, that we now call our “Bisbee table“. The unique table top is pictured with the rocks we bought at the Bisbee mine (click on the image to enlarge it). It is so Bisbee. VisitBisbee.org to find your Cochise County treasure!